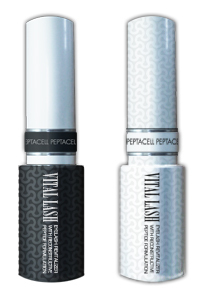 This incredible formula is designed to enhance the appearance of lashes and brows. Pepti Lash will improve the length, thickness and volume of the hair while protecting against breakage. Moisturizing agents enhance shine and suppleness by locking in hydration, leaving lashes and brows elastic and durable. 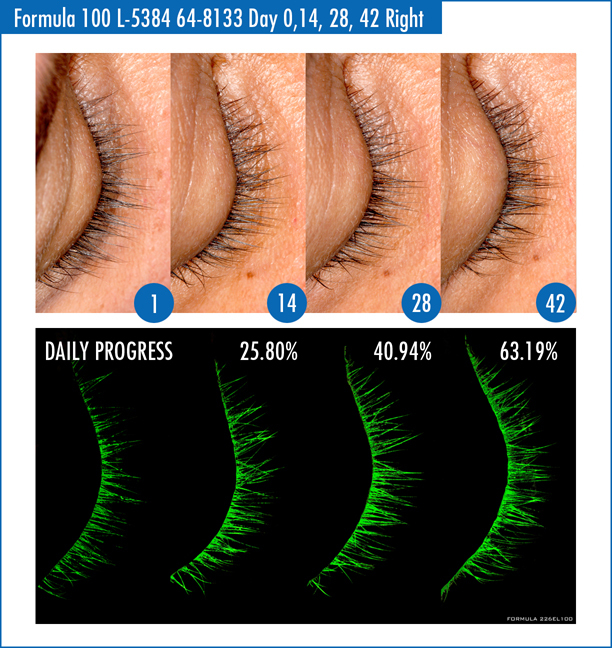 Healthier, Fuller, Appearing-Looking Eyelashes & Brows! Free of prostaglandins and parabens, fragrance, and is suitable for contact lens wearers. Pepti Lash was developed with potent bioengineered polypeptides containing beneficial amino and fatty acids with renewing properties that provide effective protection against breakage and promote healthy, natural lashes. Extreme Moisture and Increased Elasticity! Sodium Hyaluronate, one of the most potent humectants, alongside Hydrolyzed Glycosaminoglycans provide extreme hydration to lashes by binding in moisture while improving elasticity and durability. Biotin, Panthenol and Pumpkin Seed join forces to help replenish and rejuvenate lashes with essential proteins and vitamins that provide strength, shine and enhance lashes. All these amazing ingredients work synergistically to promote fuller, more voluminous lashes and enhance the overall appearance of the eyes. 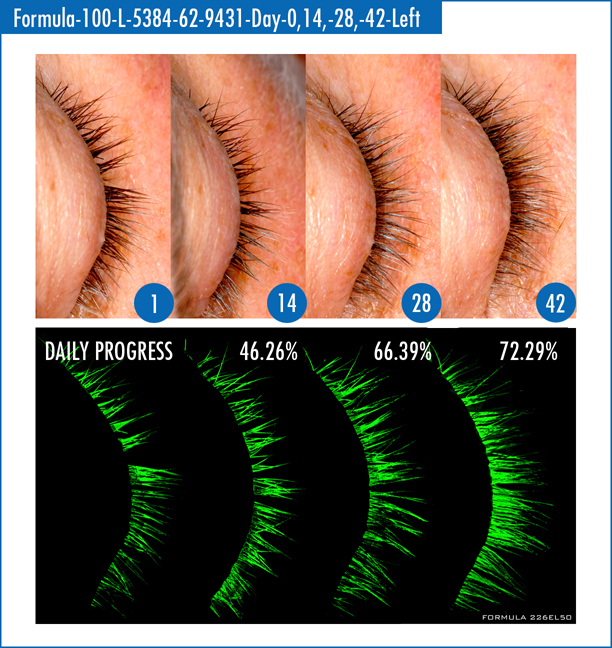 Polypeptide (Leucine, Proline, Lysine, Glutamine) & Myristoyl Hexapeptide-16: Reconstructive Peptides stimulates Keratin Genes that will turn on growth cell of eyelash. Direction: Use only as directed. Apply Pepti Lash to the base of the upper eyelashes and use it morning or night. The eye should be completely clean of any make-up or eye creams. 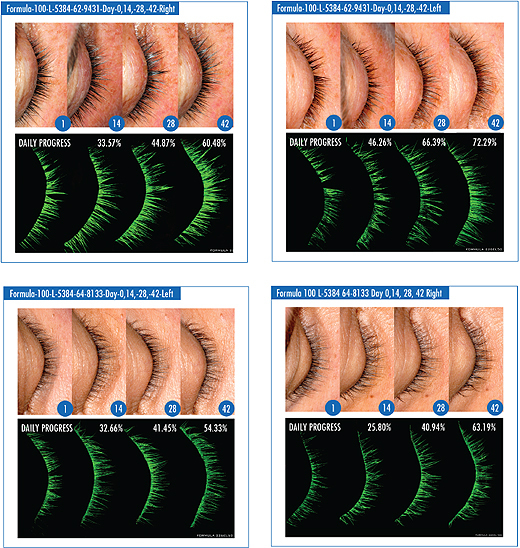 For best results alternate the direction of your application each time you use Pepti Lash. For example one time apply from the inside of your eyelid to the outside. The next time apply from the outside in. 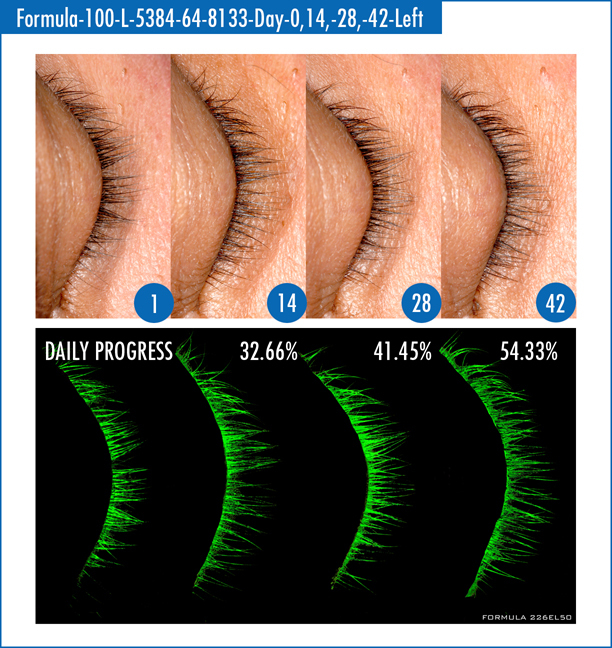 This will give the most uniform results to your lashes. After application, allow the product to dry for several minutes. Once dry, apply your normal makeup. Do not apply to your lower eyelashes. This will only increase the potential for irritation. Cautions: For topical application only. Avoid contact with open wounds. Do not ingest. Discontinue use if rash or discomfort occurs. Do not put in eyes. Flush eye with water in case of accidental contact. Use only as directed. Test was performed with volunteered subjects by independent laboratory, AMA Laboratory located in New York, USA. Thickness and Fullness were not measured even though they also increased equivalent amount to the length. 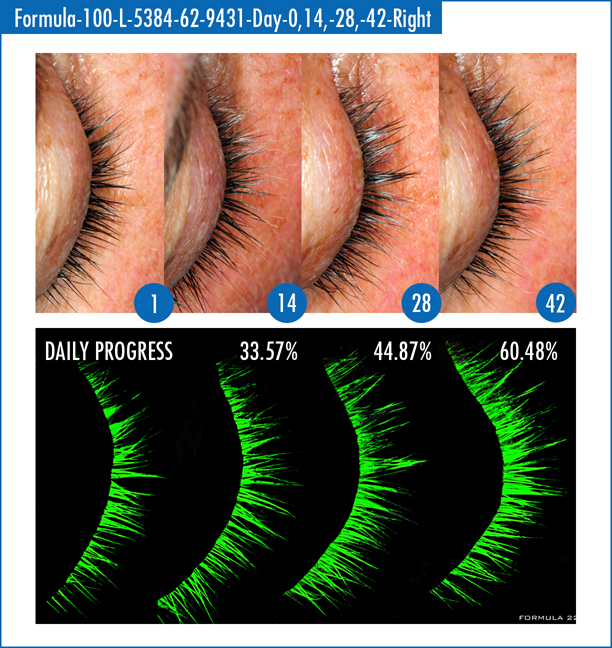 Eyelash measurement by SigmaScan software.